:: NikG* Life + Style ::: Take a Listen! : Esperanza Spalding album $3.99 Today! Take a Listen! : Esperanza Spalding album $3.99 Today! Hey guys, just thought I'd give you all a heads up! 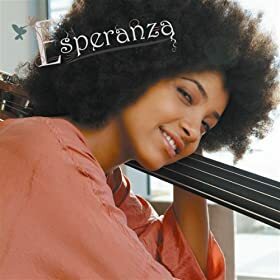 Go download Esperanza Spalding's last album "Esperanza" for $3.99 on Amazon.com. It's the deal of the day, so that price won't stay so low. She has a new album coming out later this month, by the way. If you don't know who she is, this is definitely at a suitable price to take a chance and get to know her. She's an awesome jazz artist, who happens to be young and gorgeous with enviable natural hair. Thank me later!